When veterans are looking to purchase a home, it’s important for them to understand the VA loan requirements to maximize the use of these benefits. VA backed loans provide an amazing range of benefits to those that qualify. This includes thing such as no down payment, lower interest rates, and more than can help buyers secure financing or save money. Understanding VA loan requirements for buyers and the buying process is the first step to securing a VA backed mortgage loan. We Specialize in VA Home Loans Get Pre Qualified Today – Click Here. The first step is to acquire a certificate of eligibility (COE). A COE is a document which proves to lenders that you qualify for a VA backed loan. The actual requirements to acquire a COE vary based on the nature of your eligibility. Generally, it requires you to provide some proof of your current or past service. This might include a record of your service or a signed current statement of service by your commander. Once you’ve determined and gathered the required documentation you can apply for the COE. 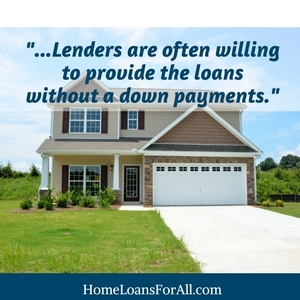 This can be done through the mail, online, or through a qualified lender. For more info, check out our full article on obtaining a Certificate of Eligibility. While typically being easier to obtain than a standard loan, there are still a couple of requirements borrowers must satisfy. They are broken into a couple of key items. Credit Score: While this is up to the individual lenders, 620 is generally considered the minimum. This not always the case though, and those with no or poor credit should talk to a lender to see what options they have available. Debt To Income Ratio: Lenders also want to make sure you can afford the loan, and your income can satisfy the payments. The generally accepted debt to income ratio is 41%. This is not a hard limit though, and many lenders will work with borrowers or may even have more lenient requirements. Loan Limits: While there is no limit to how large a loan can be, there is a limit to how much the VA will guarantee. The current loan limit for most counties is $453,100, but this change depending on the cost of living. For example, in Hawaii, this limit is a bit larger. After this limit, you’ll typically need to provide a larger down payment to secure a loan. 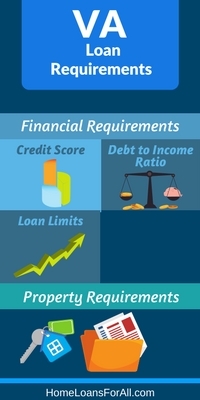 In addition to the financial requirements, there are some limits on what properties can be purchased. These requirements are set in place to prevent buyers from purchasing properties with large, necessary expenses. This includes things like having clean water, a functioning heating system, and meeting structural requirements. These are primarily big-ticket items that have an immediate effect on the safety or inhabitability of the property. Any property will need to be approved by a licensed inspector which will look at these issues and more. It’s important to note however, that this is not a replacement for a traditional home inspection, and it is highly recommended a prospective buyer still get one. These are typically much more in depth than the one required by the VA.
Properties not meeting these requirements will likely be denied a VA loan. While there are sometimes exceptions made, these are are difficult to acquire and are usually extensions to fix the issue rather than a flat exemption. Working with a real estate agent that is familiar with the requirements is a great to way to speed up the process, and prevent surprises after the inspection. During the inspection process the property will also be appraised. This will determine the fair market value of the home. If a home is valued less than the proposed loan, then the buyer will need to either make the difference, or negotiate the price down lower. The VA loan is especially popular among first time home buyers. Due to the numerous benefits, it’s a great choice for anyone who qualifies. What are the Benefits for Veteran Home Buyers? One of the key benefits for VA first time home buyers is the ability to secure a no down payment loan. Due to the backing of the VA of up to 25% of the loan, lenders are often willing to provide the loans without a down payment. This also does away with the need for private mortgage insurance (PMI). This is a huge benefit, as low down payment loans typically require PMI which can put additional strain on budget conscious home buyers. Credit is also a big concern for first time home buyers, and is luckily a requirement that is easier to satisfy on VA loans. Many first time buyers with poor to no credit are able to secure VA backed loans if they satisfy the other categories such as having a low debt to income ratio. The guaranty that the VA provides to the loans also helps to significantly reduce risk for the lenders. 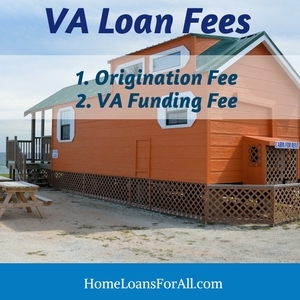 First time VA home buyers also enjoy a reduced VA funding fee on their loan. As discussed in the fees section below, the funding fee is attached to every VA loan and is used to keep the program running. Those who are using their VA benefits for the first time receive the lowest rate for this fee. To qualify for additional first time buyer benefits the individual must not have used their VA benefits to a secure a mortgage. The VA benefits can be used multiple times, but only the first use will convey the extra benefits. At the end of the purchase process there is always fees that need to paid, this includes things like the closing costs and inspections. For a prospective buyer, it’s important to keep these fees in mind. While the closing cost is the the most well known additional expense, there are a couple more the buyer to be aware of. The first of which is the origination fee. This is a fee charged by the lender to cover the origination and processing cost of the loan. This can be up to 1% of the total loan value, but may be less. In addition to that, the buyer is required to pay for both any appraisal fees as well any fee for accessing the buyers credit report. These are generally not too expensive, but a fee nonetheless. Lastly, borrowers will have to pay the VA funding fee. This fee is put in place to help fund the loan program, and keep it running for future generations. The fee is percentage based on the size of the loan, and is usually in the range of 1.5-3.5%. The fee amount changes slightly depending on your service, and is also lowered for first time buyers. On the buyer side, there are fees that the VA prohibits from being paid. This include things like attorney fees, notary public fees, buyer broker expenses, and a few others. These fees must be paid by the seller or lender. 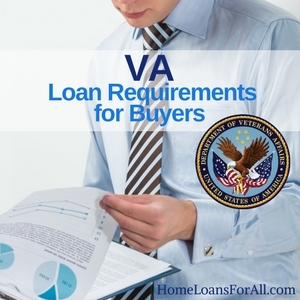 Are there first time buyer requirements for VA Loans? First time home buyers must satisfy all the standard requirements that com with the VA loan as well as having never used their VA benefits for a mortgage before. Outside of that, they do not have to satisfy any additional requirements. Am I required to pay attorney’s fees as a VA loan buyer? You can choose to pay for your own attorney, but cannot be charger for the lender’s or seller’s attorney fees. Credit score requirements are set by the individual lenders so they can vary. In general, most will look for a score of at least 620, but being under this won’t automatically prevent you from getting a loan. Yes, the only discharge that can prevent a veteran from using home loan benefits is dishonorable. Are VA Loan Buyers Required to Get a Termite Inspection? In some “high-risk” areas a termite inspection is required. Outside of that, it is up to the lender. In either case, most states prevent the buyer from paying this fee. 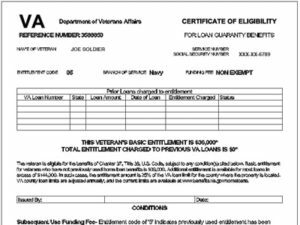 What Other Fees are Veterans Exempt From Paying? Some addition fees a buyer may not pay includes, agent commissions, broker fees, notary fees, attorney fees (for lender or seller), and recording fees.